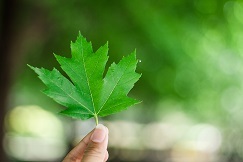 The Canadian Environmental Certification Approvals Board (CECAB) is responsible for the overseeing the administration, evaluation and ratification of ECO Canada’s certification of Environmental Professionals (EP®) in Canada. Representing key environmental stakeholders from across the country, the Canadian Environmental Certification and Approvals Board is responsible for final ratification of all certification candidates. With 14 specialty areas over 5 industry sectors, the Environmental Professional (EP) is a comprehensive designation that highlights your industry-specific skills and knowledge. Search the database of all certified members in Canada by name, company, location or specialty! Become a certified Environmental Professional (EP) to showcase your expertise with Canada’s only national environmental designation. Demonstrate leadership, commitment to the field and your dedication to continuous improvement through professional development, in the environmental sector. You will also benefit from training discounts, free courses and webinars. Our online training courses and webinars are developed based on labour market research to support you in your environmental career and our events help connect you with the environmental professional community. Sign up to receive the monthly ECO Canada newsletter containing insider information about the environmental industry.